General Knowledge questions on Indian GK for Bank PO, IBPS, Bank Clerical And Indian GK For RRB Assistant Loco Pilot Group D 26-02-2018 questions for bank exams, very important computer-related questions for Bank PO, SBI PO, IBPS,RAS, IAS, UPSC, RPSC, 1st, 2nd, 3rd Grade Teacher, REET CTET, LDC, SSC CGL, IBPS, MBA, CAT, MAT, SBI-PO, RBI And Railway, Indian Army And all competitive Exams, and Most expected Computer Question Papers with answers. 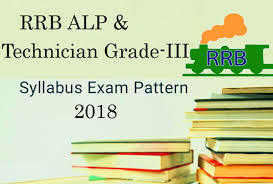 These Questions are most commonly asked in Other Banking Exam And All subject Wise Notes and Math, Hindi, English, History, Political Science, Psychology, Sanskrit Related Study material. Question (1) How much India is self-reliant in the case of urea? भारत यूरिया के मामले में कितना आत्मनिर्भर है? Question (2) Which animal was first sent in space and what was his name? सबसे पहले कौन से जानवर को अंतरिक्ष में भेजा गया था और उसका क्या नाम था? Question (3) In which state of India is Not S. T. caste? भारत के कौन से राज्य में एस. टी. जाति नही है? Question (4). Who first read the news on TV in India? Question (5) Who was the first British Viceroy? पहला ब्रिटीश वायसराय कौन था? Question (6). Who first addressed Subhash Chandra Bose as “Netaji”? सुभाष चंद्र बोस को किसने सबसे पहले “नेताजी” कह कर सम्बोधित किया था? Question (7). What was the 100th mission of ISRO? ईसरो का 100 वां मिशन कौन सा था? Question (8) When was the Bhopal gas tragedy? भोपाल गैस कांड कब गठित हुआ था? Question (9).The first Indian who made the title of world beauty? पहली भारतीय जिसने विश्व सुंदरी का खिताब अपने नाम किया? Question (10) which district of Rajasthan is the “Air Cargo Complex” located? राजस्थान के किस जिले में “एयर कार्गो कॉम्पलेक्स” स्थित है?